The Lumenier ZIP 2407 1700kv POPO Pro Motor. Rated at 1700kv, this motor hits the sweet spot for high-powered 6s power with the ability to swing 7" props with ease. The new POPO® Pro shaft uses the latest technology to allow you to fly POPO® compatible propellers without the need for any lock nuts! Simply depress the pin, click your prop into place and fly. It's that easy! The Lumenier ZIP 2407 2250kv POPO Pro Motor. Rated at 2250kv, this motor hits the sweet spot for screaming 4-5s power with the ability to swing 7" props with ease. The Lumenier JB2407-7 2500KV Bardwell Motor; designed with Lumenier performance and quality with some Bardwell flair! The JB2407 has been named after and designed in collaboration by FPV pilot and tech Guru Joshua Bardwell. The merging of Lumenier high quality motor design and production along with the technical expertise of Bardwell has resulted in a top shelf motor with incredible performance that is sure to please. The JB2407 has been designed to provide maximum power and thrust for a 2407 sized motor, while maintaining a lightweight design to minimize weight. These motors use a more powerful stator in combination with curved N52SH magnets and very small air gap, resulting in incredible power and performance. Designed to provide responsive power during racing or freestyle with a mid to high KV of 2500kv on 4s, or try 5s for crazy power! The motors feature a minimal light weight base, and hollow steel 4mm shaft with screw termination for easy maintenance. The JB2407 motors come in at 35g continuing Lumenier's tradition of creating some of the lightest racing and freestyle motors on the market. Designed to provide responsive power during racing or freestyle with a low KV of 1750kv which is perfect for 6s 5" racing, or for long rang cruising! The V2 steps up the game with many new features like a minimal light weight base, hollow steel 4mm shaft with screw termination for easy maintenance. The new 2207 motors come in at just 30g continuing Lumenier's tradition of creating some of the lightest racing and freestyle motors on the market. Designed to provide responsive power during racing or freestyle with a mid-range KV of 2400kv on 4s, or try 5s for crazy power! The V2 steps up the game with many new features like a minimal light weight base, hollow steel 4mm shaft with screw termination for easy maintenance. 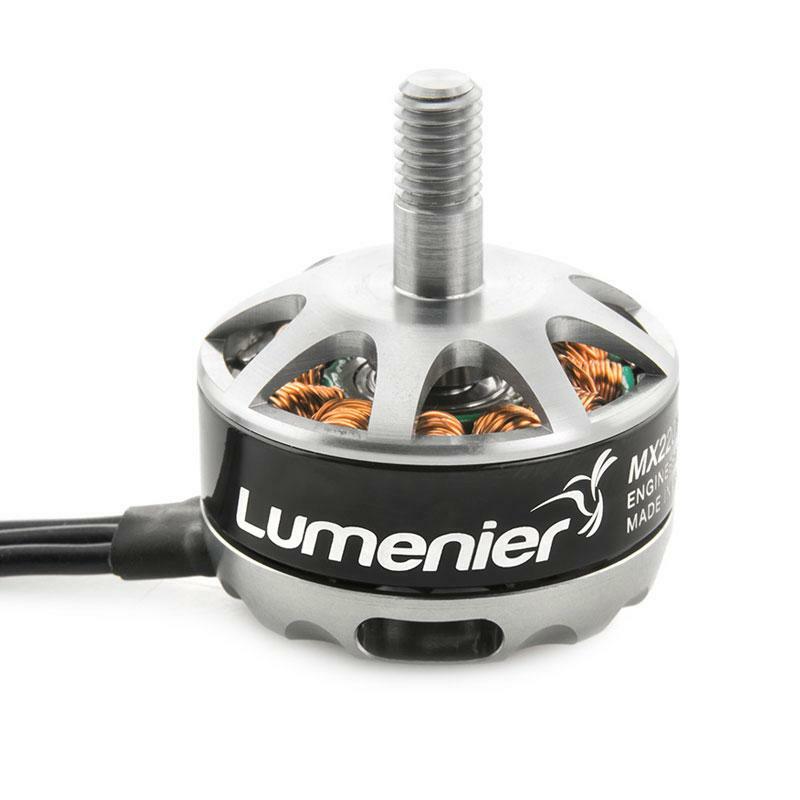 The new 2207 motors come in at just 30g continuing Lumenier's tradition of creating some of the lightest racing and freestyle motors on the market. 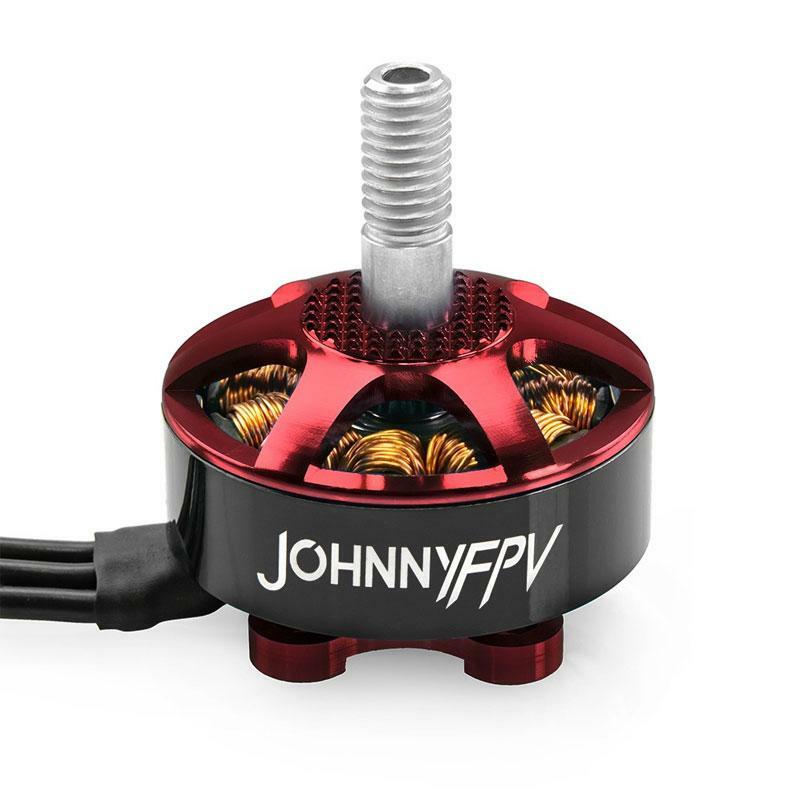 Designed to provide extreme power and response during racing or freestyle with a high KV of 2700kv the V2 steps up the game with many new features like a minimal light weight base, hollow steel 4mm shaft with screw termination for easy maintenance. The new 2207 motors come in at just 30g continuing Lumenier's tradition of creating some of the lightest racing and freestyle motors on the market. Designed to provide extreme power and response during racing or freestyle with a high KV of 2700kv the 2207 steps up the game with a larger 2207 sized stator. 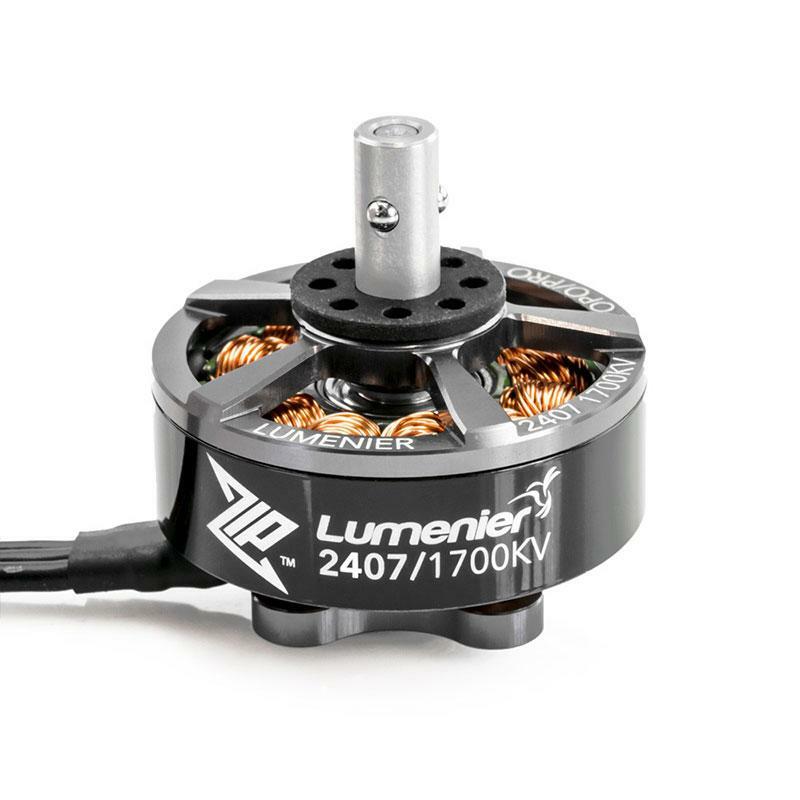 The new 2207 motors come in at 32g continuing Lumenier's tradition of creating some of the lightest racing and freestyle motors on the market. This is the new Lumenier MX series of multirotor motors. This motor has been designed to provide maximum power and thrust in a small and lightweight package. The MX motors use a more powerful stator in combination with N52SH magnets and very small air gap, resulting in incredible power and performance. Designed to provide top power during drone racing and a KV of 2450kv the MX2206 steps up the kv rating compared to the RX2206 2350kv motors that are so popular with acrobatic pilots. The new MX2206 motors come in at 28g continuing Lumenier's tradition of creating some of the lightest racing motors on the market. 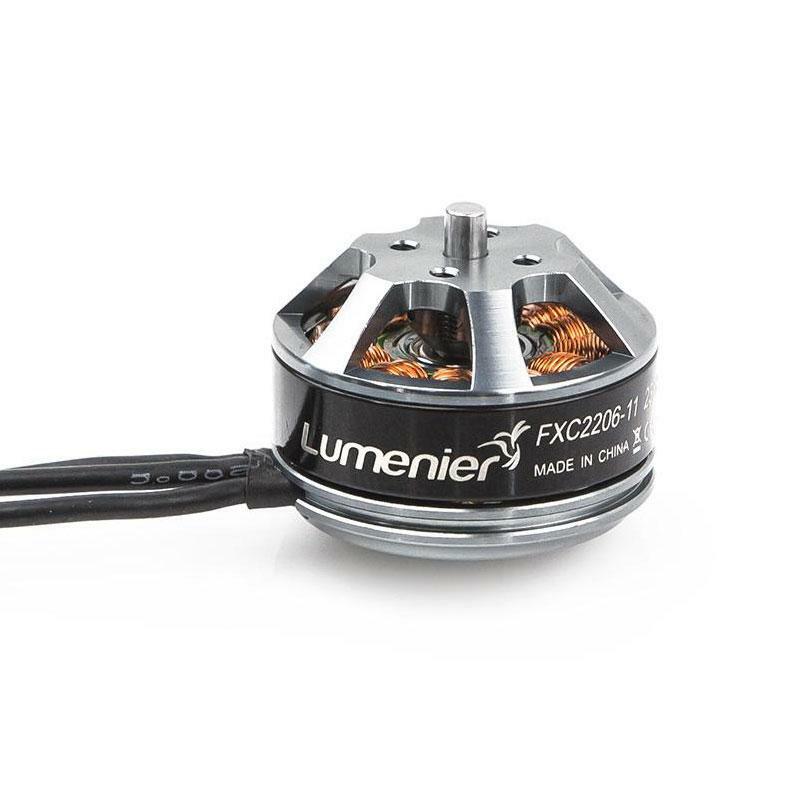 Carefully assembled and dynamically balanced to the highest standard in Lumenier's climate controlled facility, the new Lumenier MX2206 motors deploy new glue technology, application robots for even glue distribution, and advanced curing procedures to ensure magnets won't slip -- even under the tremendous demands put on them during drone racing and FPV freestyle events. The Lumenier 2450kv RB2206C "Skitzo" limited edition motors feature super smooth ceramic bearings and have incredible power in a lightweight package. With a 2450kv rating and powerful 2206 stator size the new RB2206 motor fits right in for drone racing and FPV freestyle. With this new 2206, Lumenier now offers very granular Skitzo motor choices from 2204, 2205, and 2206 across various kv ratings providing you great choice when specifying your build components. The new 2206 motors come in at 28g continuing Lumenier's tradition of creating some of the lightest racing/freestyle motors on the market. The new Lumenier 2400kv RX2205 and RB2205C "Skitzo" limited edition motors fill a gap in Lumenier's multi-rotor motor lineup, by hitting the sweetspot of power and weight. With a 2400kv rating and 2205 stator size the new RX and RB 2205 slot in perfectly between the Lumenier RX2204 and RX2206 motors, some of the most popular drone racing and FPV freestyle motors on the market. The RB2205 "Skitzo" limited edition comes in a lush purple color and deploys high quality ceramic ball bearings. Ceramic ball bearings have long been deployed in RC applications such as high performance car racing and offer the benefit of increased life span, cooler running temperatures, and super smooth and quiet performance. Lumenier is among the first brushless motor companies to deploy ceramic ball bearings in the 22 motor size for multi rotor applications. 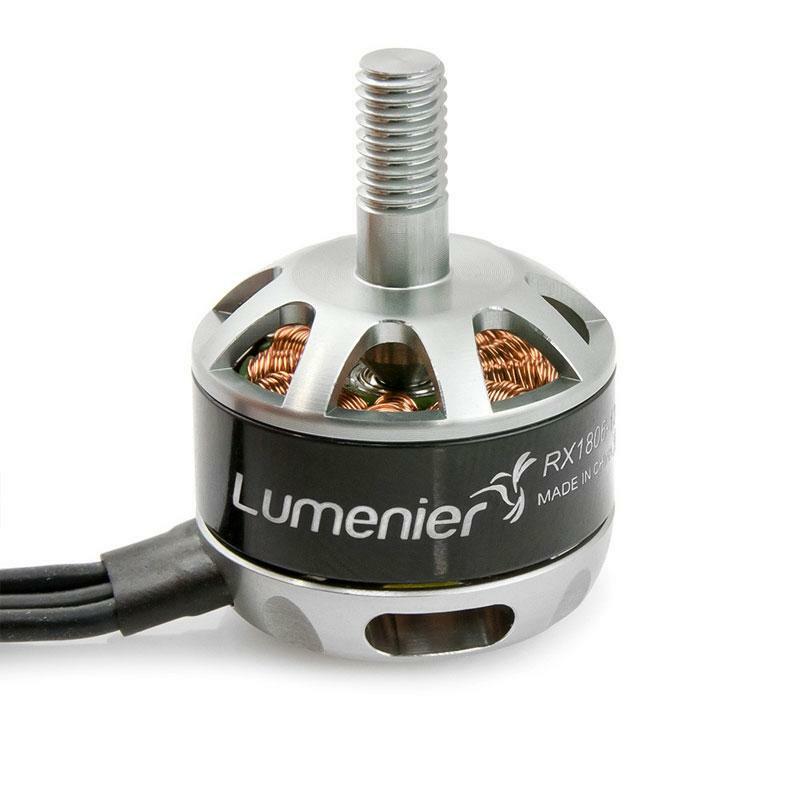 The Lumenier RX1306-7 4000Kv motors have a strong 2mm internal shaft which has been machine pressed into the upper bell of the motor. No longer is there a need for micro sized set screws that loosen over time. The motor features an integrated 5mm threaded prop adapter allowing you to directly mount the propeller to the motor without the need of a separate prop adapter, saving you weight. An ultra-lightweight, black anodized, low profile, flanged aluminum lock nut is also included with each motor ensuring your propellers do not come loose during flight. Each motor comes with 4x M2x5 screws for mounting on most airframes. The motor wire length is 10mm, precut and tinned to make for easy installation on most micro builds where space is tight. Each motor includes 3 extra pieces of 75mm motor wire as well in case you need to extend the motor leads, and heat shrink is included for your convenience.